Why schedule a Dental Appointment? Schools OUT for the Summer! Summer time is here and as kids everywhere would probably agree, it’s a time for pool parties, ice cream cones, and plenty of fun in the sun! However in this lovely season of scenic bliss, it is perhaps the opportune time for both you and your family to take care of some essential needs that may otherwise be inconvenient. This is particularly true for those with children in school, as the hassle of pulling your child out of school for a dental appointment can be difficult, especially if you have to take time off work to do so! Scheduling a routine dental appointment for your kids at GPS Dental during the summer vacation is certainly an opportunity that you wouldn’t want to pass up. According to Dr. Gary P. Skrobanek of GPS Dental, the recommended allotted time between each dental appointment is approximately six months. While the thought of getting your children to their necessary appointments might seem challenging, if planned accordingly it can be much easier than you might think. In sparing yourself the hassle of having to take your child out of school as mentioned previously, it might perhaps be a better idea to schedule their dental appointment during the vacation periods. In addition to the aforementioned summer vacation, the winter or Christmas holiday season is another time period in which children our out of school, typically extending from mid-December to early January. 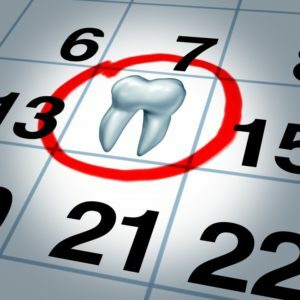 For many busy parents, this creates the ideal timeline to address their children’s dental needs as scheduling a dental appointment during the December through January time period, typically pushes the next routine appointment to the June or July time frame, thereby eliminating any need for missing school. Keep in mind that although much of the summer still lies ahead, in this beloved time of year, time often moves rather quickly. So between enjoying the lovely weather and getting in some quality time with friends and loved ones, remember to make that important phone call to schedule a routine checkup at GPS Dental for your kids. It’s the summer time and time is of the essence, so spare yourself and your kids the hassle of inconvenient absences from school by scheduling your dental appointment today!